Countering Kiev’s blitzkrieg. DPR Army placed on full alert. Units of the People’s Militia have been placed on full alert to counter the assault that Ukraine is preparing, said Deputy Chief of the Operative Command of Donetsk People’s Republic Eduard Basurin, the Donetsk News Agency reports on December 14. Basurin said that preparations began the moment the command obtained the plans for Ukrainian armed forces’ offensive. “Our units are 100% staffed and provided with the necessary weapons, military equipment and ammunition,” Basurin reports. According to the deputy chief, engineering works have been completed on the positions, and anti-tank barriers have been placed. The units are equipped with necessary numbers of anti-tank missiles. The key installations are covered by air defenses. 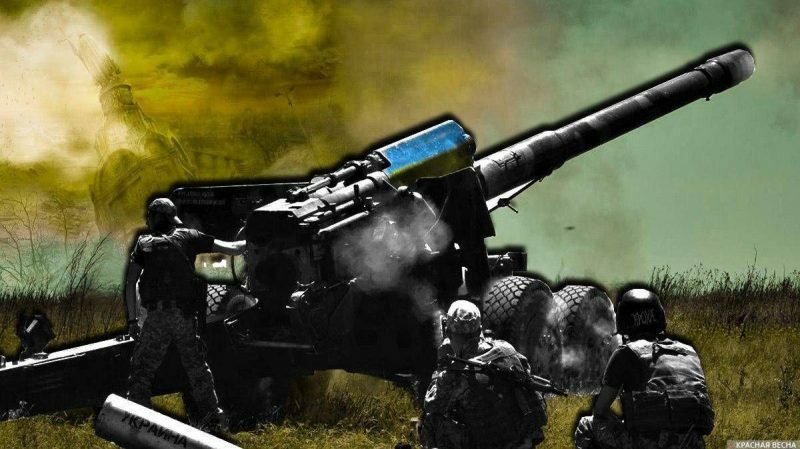 Making use of the imposed martial law, Kiev is planning to make a swift “blitzkrieg” aiming to capture the Azov Sea coastline and to reach the Russian border. In the end of November, Ukrainian president Pyotr Poroshenko imposed martial law in several regions of Ukraine after the Ukrainian Naval Forces performed the “Kerch provocation”. According to Ukrainian opposition, the provocation is linked to the upcoming presidential elections in Ukraine. Knowing he will likely lose the elections, the junta’s leader is trying to unleash a full-scale military conflict and to impose martial law on the entire Ukrainian territory. He thinks he can remain in power this way. This entry was posted in News from Ukraine and tagged Classical War, donbass, DPR, Ukraine. Bookmark the permalink.